On March 17, 2019 Frederic Thomas Code said goodbye to his loving family and friends after a courageous battle with cancer. He leaves behind his loving wife of 43 years, Terry Code. He will lovingly be remembered by his children Lesley MacKechnie (Al), Cameron Code, Karyn Stitzenberger, Kevin Kerr (Diane) and Kandice Code. Fred will also be fondly remembered by all his grandchildren; Madison Stitzenberger (Eric), Alison MacKechnie (Marcus), McKenna Stitzenberger (Brett), Lindsay MacKechnie, Marissa Stitzenberger (Harmen), Morgan Kerr, Erin Kerr, Lauren Kerr and Kayden Code. He will be forever remembered by his niece and nephews, extended family and dear friends. Fred was predeceased by his parents Bill and Lesley Code and his brother William Code. 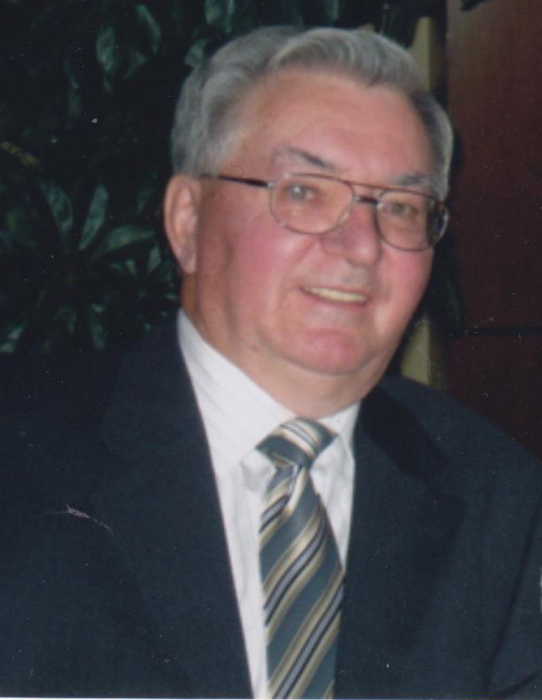 Fred was born in Innisfree, AB on Oct 23, 1933, and moved with his family to Calgary AB. He went on to university in Oklahoma and received his degree in Civil Engineering. Fred was an avid golfer, and had achieved a total of five hole-in-ones, with his first at age 60. He will forever be remembered for his love of family, his dry sense of humour and his passion for golf. Let’s gather for one last chance to tee it up with Fred at the Galloway Station Museum, 233-55 Street, Edson, on Saturday, April 27th, 2019 at 5pm. Please bring your best stories and join family and friends to celebrate Fred’s life at his Irish Wake. Please no flowers. If you wish, donations may be made to the Canadian Cancer Society or the Edson Golf Club. 200 ~ 325 Manning Rd NE, Calgary AB T2E 2P5.